Estours Travel is a boutique Travel agent in Wollongong with over 30 years of operation Australia wide and a Travel Partner affiliate. Value:- Our travel solutions that meet your needs are affordable, practical and provide the biggest bang for your buck! domestic and international travel arrangements we arrange ski holidays to the European Alps, Japan, North America and Canada. We are experts in independent and group travel to Scandinavia and the Baltic States. Estours Travel offers holiday packages, accommodation, car hire and other travel services in Australia for visitors from other countries. Estours Travel is located in Keiraville, a quiet leafy suburb just west of Wollongong, about 70km south of Sydney. Estours Travel is a full member of the Australian Federation of Travel Agents, AFTA and abides by its code of ethics. AFTA’s motto is “Value, Integrity, Protection” and AFTA travel agents make certain that you buy the travel arrangements that are right for you. The multitude of options available to the traveller today make professional advice even more essential to ensure you get the best value from your travel dollar, and the greatest enjoyment from your holiday, or benefit from your business travel. ATAS is a mark of quality. means you can book your travel knowing you’re in the safe hands of a trusted and reputable travel agent. 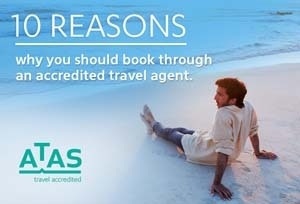 As your own personal travel specialist ATAS accredited agents, Estours is an experienced industry agency who will offer you access to a large variety of products and destinations across Australia and the world, the best suppliers and first-to-market offers. We will provide you with friendly service and create a hassle free and convenient travel experience, from beginning to end. Karen has been in the Travel industry for 17 years and has worked for Estours Travel since 2011. She has travelled to Europe, USA, parts of Asia, the Pacific and Australia and loves to explore and immerse herself in the culture of her destination. Karen has a passion for skiing and enjoys taking one of the Estours Ski groups each year. Her job is her passion and she gets immense joy from planning holidays big or small and hearing about them on your return. Karen works Monday to Friday. Natalie has been in the Travel Industry for 25 years. Previously, she was with Bentours – the Scandinavian experts for 15 years, then with Viking Cruises for 6 years. 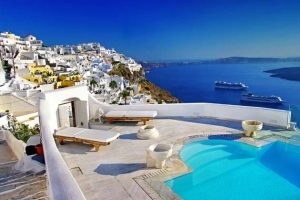 Natalie can give you first hand advice on travel to Scandiavia, Italy and Portugal. She is an expert on airfares and can find the best deal available for you. You can contact her at natalie@estours-travel.com.au.